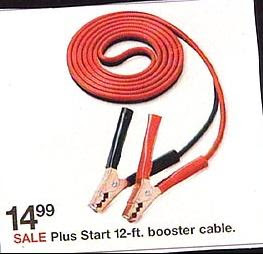 All looks good, and thats not a bad price for booster cables or jumper leads. But hang on one little minute. Whats missing here? One red, one black and lots of lead....Hard to attach a red to red if there is only one of them. Not much boosting going on here im afraid.